Beads by L'hox creates wearable art pieces that are as unique as you are. It all started when I read an article off of pinterest about creating beads out of magazine pages. Well I have a whole bunch of magazines that I was wondering what I could do with. I love to find ways to recycle or as we call it "upcycle" and find ways to reduce our carbon footprint on this lovely planet we live on. Going a bit further back, when my daughter, my youngest left the "nest" she knew it was hard for her mom and being the sweet and thoughtful young woman she is, she suggested I change her room into an arts and crafts room. She knew her Mom had a passion for drawing and painting. So I used it for my art, trying all different kinds of media for painting and still do. But I also started trying out some different crafts. I often said I seem to have "A.D.D. of crafts" switching from one craft to another as nothing really just captured and held my interest long enough. Well that is until I started handcrafting beads and jewelry. I absolutely love it! The beads created from magazine pages were just beautiful, each one has absolutely unique colors and patterns in them. Even beads made from the same page will look different. Combining them with beautiful glass beads and gemstones the necklaces were so pretty. 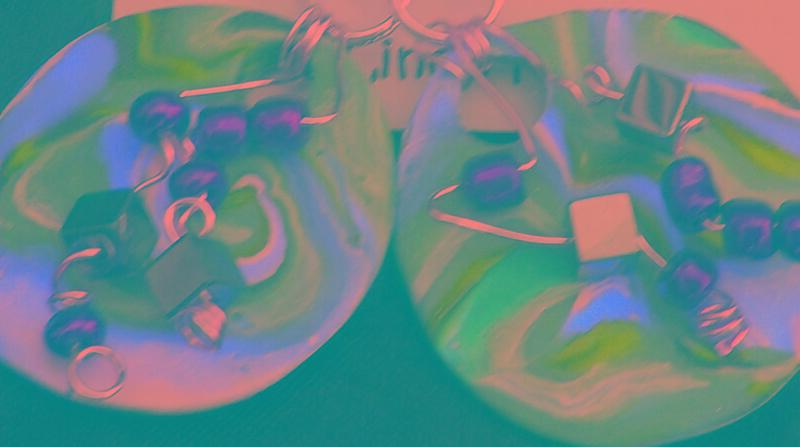 Then I discovered the unlimited world of beads created from polymer clay. 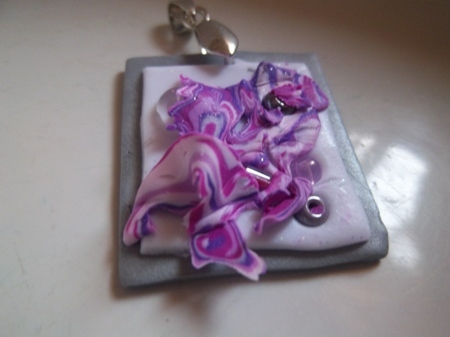 This clay has the amazing abilities to imitate real colors to those that will inspire your imagination. 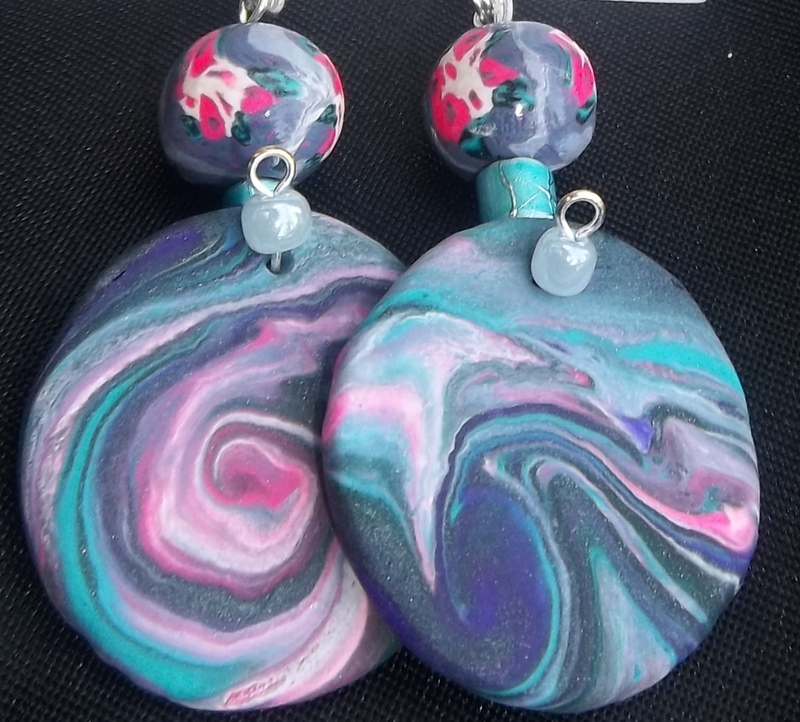 Like the other beads I work with the clay beads are one of a kind pieces of art. 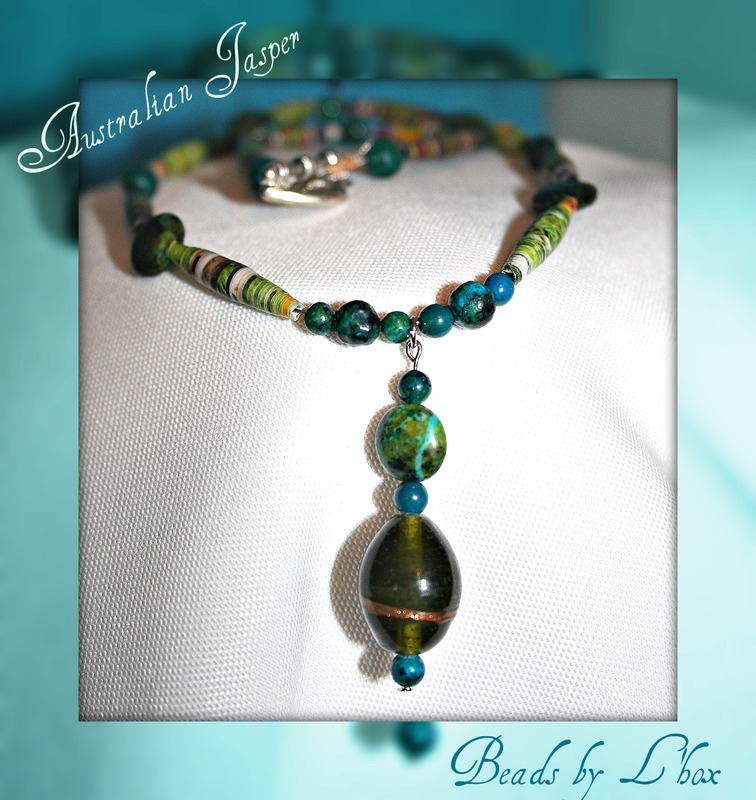 Wearable art is a wonderful thing, you can share your treasures with the world by wearing them. I wonder if all artists sometimes have trouble letting go, I enjoy each piece so much as I create it. But then I found that it helps to know that the receiver loves the piece as much as I do, with that I find the release of my emotional attachment as I send it on it's way. 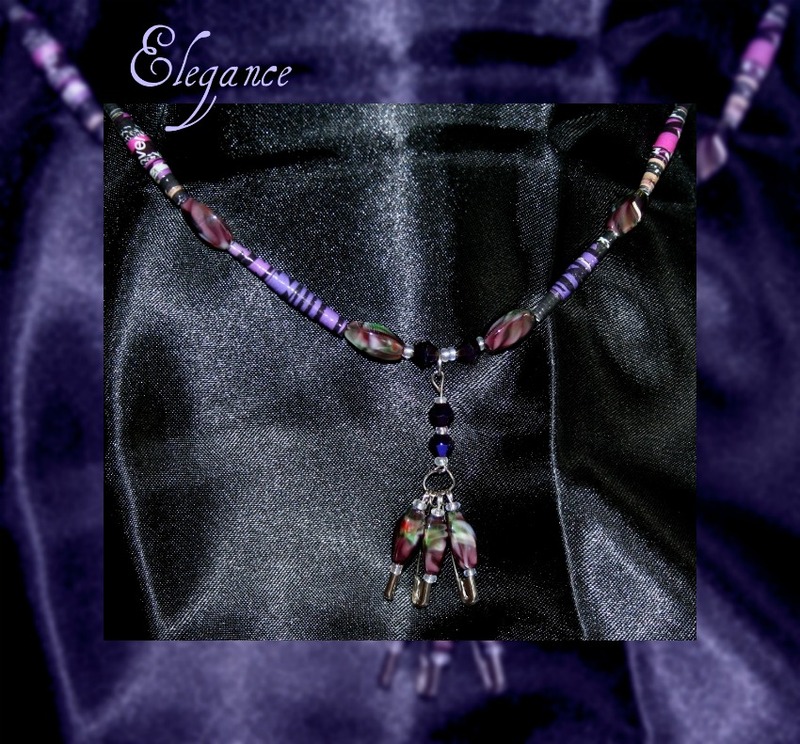 I invite you into my collection of artistic creations of wearable art and more. If you fall in love with a piece it will brighten my day, like no other. 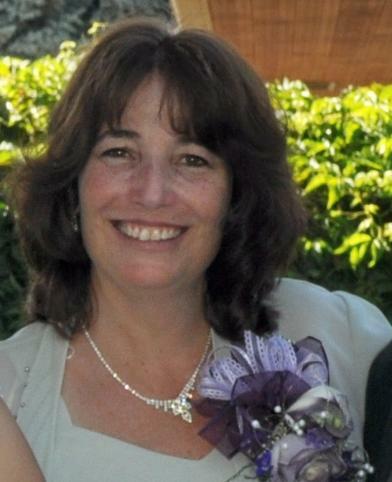 Linda has been married for the last 32 years to the love of her life and best friend, Mike, and resides in southwest Idaho. Mother of two beautiful and successful children, Katie and Brandon. 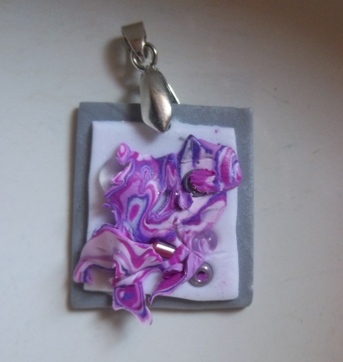 She works full time and tries hard to balance her life with her art and jewelry making. 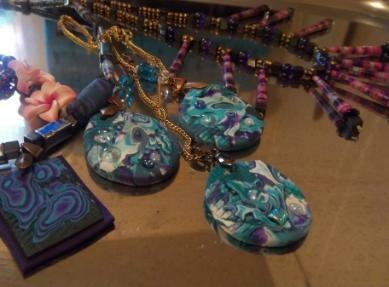 She has a strong passion for creating beautiful pieces of artwork and jewelry, combining the two ignited her passion. Each unique piece is handmade with inspiration from the colors of our natural world. Each is so lovingly designed, there is not one piece that the artist herself wouldn't be happy to wear. More often then not she has to talk herself into parting with them. Starting by making one of a kind designer jewelry for herself, her family and her friends. When people starting noticing her gorgeous pieces, commenting on the beauty inspiring her to create more pieces she has now decided to share with all of you. You can select any of the above photos to enlarge them. I hope you enjoy them as much as I do. Coming soon I will post some tutorials on how to make different types of beads. If you are interested in purchasing a piece of jewelry, you will find pricing on the next few pages.